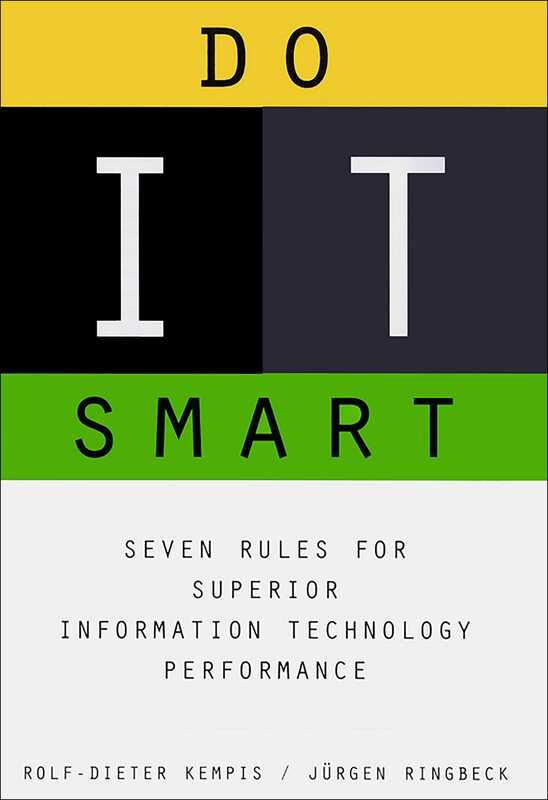 Ram Ramakrishnan Vice President, Strategy and Development, Schneider Electric This is a compelling treatise that demystifies IT management by tying IT to business success...must read for every business and IT leader who wants to "Do IT Smart." Dr. -Ing. Andreas Groth Vice President, Information Management/Organization, DaimlerChrysler Aerospace, MTU Munich The first successful approach ever to demonstrate and benchmark the efficiency/effectiveness ration of IT. The benchmark greatly helped us to achieve a much better understanding of and argumentation for value-driven IT support of our business strategy and processes. Hans Hogstedt Director in Corporate IT, Tetrapak The biggest value of this benchmarking is its focus on the business value of IT investments and IT'S contribution to corporate success. This area used to be a matter of pure speculation: these findings make it measurable, based on hard facts and figures. Denni Interliggi CIO, GenCorp Inc. This book provides companies with best-practice benchmarks against which to rapidly identify the strengths and weaknesses of their IT management as it relates to business issues.